TE Connectivity’s Dynamic Series connector solutions designed for use in high density, signal and power applications for control systems are now available in Europe through TTI, a specialist distributor of electronic components. 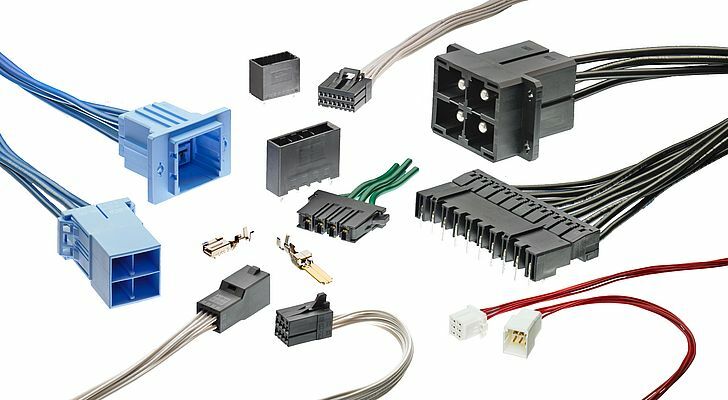 In wire-to-board, wire-to-panel and wire-to-wire styles and a wide variety of ruggedized housings, they offer design flexibility for very demanding applications in challenging environments, such as industrial control, human machine interface (HMI), robotics, data communications, motion & drives, power distribution, industrial process controls, factory automation computers, switching power supplies and others. TE Connectivity’s Dynamic Series interconnects feature a large, high-performance contact area that prevents the risk of disconnection over time, plus the box contact has three points of contact to ensure continuity of electrical current. In addition, the robust retention legs and contacts of the Dynamic Series act as a strain relief. Other physical features include keyed housings to prevent mis-mating or misalignment, which simplifies installation in the field and reduces maintenance time for service engineers. Correct mating is confirmed with an audible locking sound. Tooling options are available for semi-automated termination, in addition to hand tools for field termination and repair.